Graeme E. Pearson is a singer, musician and author born in Edinburgh. He is married with three children (All born in the latter part part of the last millennium and the beginning of this one). He makes his living entertaining tourists and locals in Edinburgh, all over Scotland and the world. Graeme has been a member of Equity since 1996. He has produced three music albums with his band The Mutineers: Graeme E. Pearson and the Mutineers and Half Alive in Edinburgh, and Dead and Alive in Edinburgh. He wrote a book on his exploits in the pubs and clubs since 1990. Find it on Amazon by clicking here. The highlight of Graeme's career so far has been appearing with The Mutineers as the ceilidh band in the the film A Shot at Glory with Robert Duval, Michael (Batman) Keaton, and Ally McCoist. Graeme appeared on the television show Total Wipeout UK (Series 5, Episode 6). He comes in after about 20 minutes and they call him Graeme MacBanjo. You can watch the show on YouTube by clicking here. Graeme E. Pearson is Club Secretary for Queensferry Rugby Football Club. 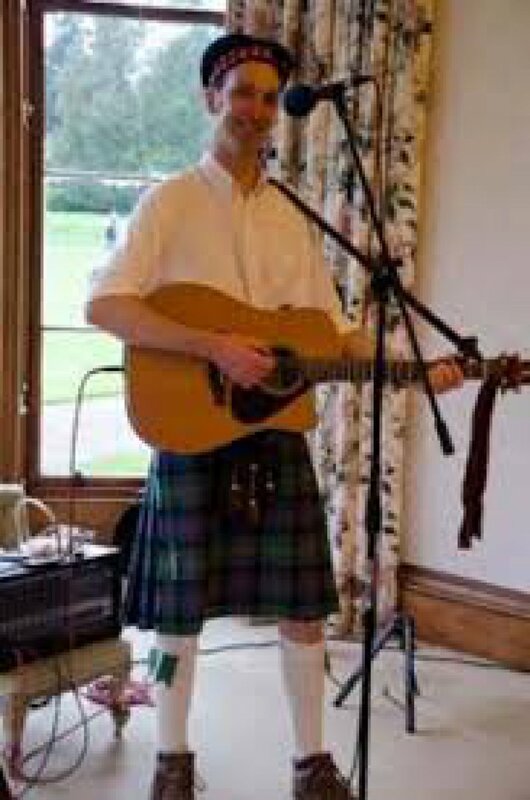 Graeme is available to play at public and private events. For more information or to book Graeme to play at your event, please contact us using the details on this website.